The Fourth Session of the 11th Hebei Provincial People’s Congress, the province’s top legislature, kicks off on Wednesday at the Hebei Conference Hall in Shijiazhuang, the capital of North China’s Hebei province. Hebei Provincial Party Secretary Zhang Yunchuan speaks at the Fourth Session of the 11th Hebei Provincial People’s Congress. 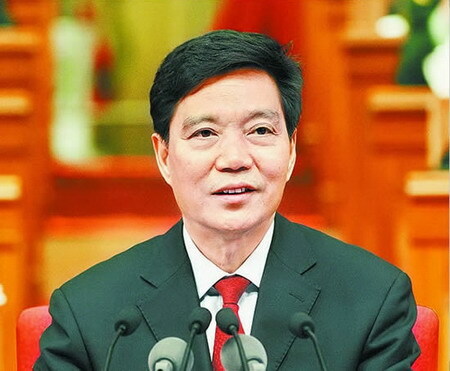 Hebei provincial Governor Chen Quanguo delivered a planning report, outlining Hebei’s 12th Five-Year-Plan, during the session chaired by provincial Party Secretary Zhang Yunchuan. A total of 693 legislators attended the conference. Chen elaborated on the main tasks over the next five years after listing major achievements during the 11th Five-Year Period. Chen said key targets for 2011 include steady growth, industry restructuring, commodity price control and improving people’s livelihoods. Goals for important economic and social indicators in 2011 were included in the speech. The provincial GDP growth rate should be 9 percent, and total fiscal income should grow by 11.5 year on year. Per-capita disposable income of urban resid0ents should increase 9 percent over last year, and per-capita net income of farmers should grow no less than 8 percent, according to the goals.